This book deals with miseries and problems of Indian women with respect to their social class structure. India is known for its caste system and its economic and political history is based upon these classes. Feminist history is also interwoven with the social classes. Women were treated as private property in medieval India. 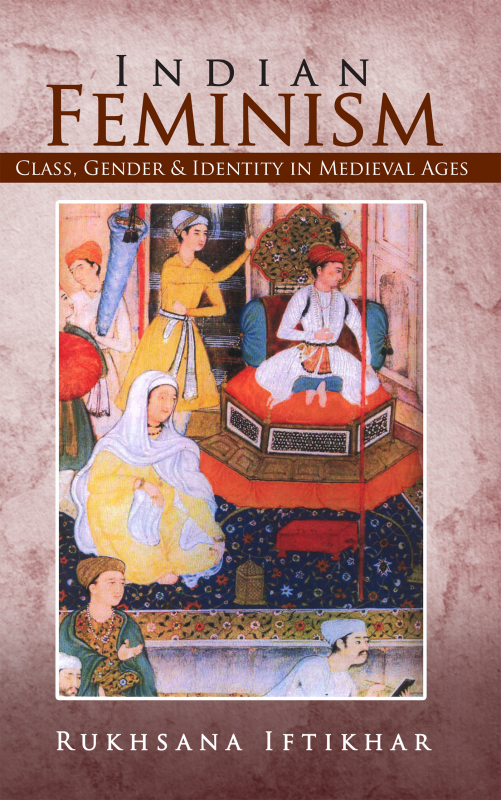 In this book, women of elite classes in the middle ages such as Razyia and Noor Jahan are discussed. Razyia was scandalized with Yaqut solely due to her gender. Noor Jahan belonged to the vast harem of Emperor Jahangir. She had to survive in a harem, as well as strengthen her political position in the court of the great Mughals. The issues of the spinster princess like Jahanara and Zeb-un-nisa are also highlighted. The purdah had also set a standard for social morals for women in the middle ages. The political and cultural activities of Mughal women were the channels of their catharsis. They were able to accomplish things because they had money and the resources. The women of the middle and lower classes bore the burden of the class, family and society. This book also describes other aspects of that age such as clothing and jewelry. Dr Rukhsana Iftikhar is an Associate Professor in the Department of History and Pakistan Studies, University of Punjab, Lahore, Pakistan, and has been associated with the department since 2002. She has published numerous articles in national and international journals. Her areas of interest are Mughal history, gender and post-colonial theories. She has also presented her research work in the U.K, Turkey, Malaysia, India and Pakistan. Dr Rukhsana obtained her PhD in History in 2008. The government of Pakistan had funded her Post-Doctoral fellowship (2011-2012) in Royal Holloway, University of London.